This year, Prime Minister Narendra Modi had announced on 15th August from the Red Fort that India will move firmly in the field of space in time to come. He also said that India would send some of his son or daughter to space in 2022. Proposal submitted in 2004 to fulfill this commitment has been approved. Let us know that the responsibility of this campaign will be on the shoulders of the Indian Space Research Organization (ISRO). ISRO has started working for this too. Since August 15, Sivan of ISRO chief has said three times that this will not be just ISRO mission. He said, 'This will be a national mission in which people from all over the country will collaborate. Among the institutions that Sivan is talking about, there is also Aerospace Medicine (IAM) under the Air Force. Siwan told that IAM will only select the space shuttlers who will be sent to space in 2022. According to the information, the Indian Space Research Organization Rakesh Sharma was also given training by the IAM. 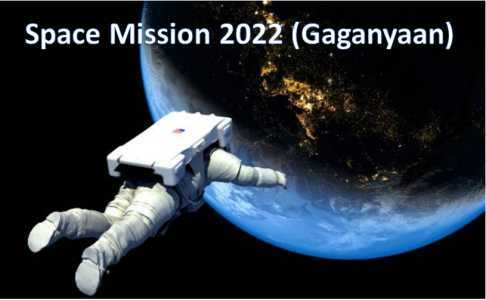 IAM Chief Anupam Agrawal said, "We need a pool of 30 astronauts, out of which 15 will be selected and given basic training. If there is a plan to send three passengers, then we will choose three sets of three to three people and one of these groups will have to go through three months of training program before the launch date. It was told that the process of choosing astronauts is quite complex and it will take approximately 12-14 months. In addition to the psychological and medical tests in basic things, many checkups will be done. Agarwal further said that It will take an about 3 months in all this bcoz we have to ensure that the best is a selection and For people whose physical condition is best and they are mentally prepared, they will be tested in advance. Those who will be selected after three months will have to undergo a tough assessment process. It will also be seen how they do loneliness. Are they able to withstand extra temperatures created at the time of flight, and in such a situation, how is their decision making? Anupam Agarwal further says, 'Besides this, training of basic biologicals, physics, systems, and other things will also be given. They have to take care of each other so they will be taught Basic First Aid and many other things.